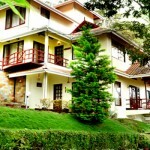 Misty Homes is a leisure hospitality provider, offering a homely accommodation in a private homestay. The homestay offers budget accommodation set in the picturesque location of Munnar offering calm and peaceful stay equipped with all the basic facilities. 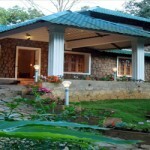 There are also arrangements for various recreational and adventure activities nearby. This is a good budget accommodation for travelers who want a private, peaceful and refreshing holiday experience. Misty Homes provide a comfortable homely accommodation with it’s single bed room cottages and a villa. 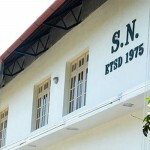 All the rooms are beautifully furnished, elegantly designed, spacious and equipped with modern facilities. Guests can enjoy the scenic views of the beautiful surroundings from the balcony or terrace of the home. Room Amenities: Satellite Television, Private Bathroom, 24 Hour Hot/Cold running water, Balcony, Telephone, Dining table, Wooden furniture, Sitting room, Newspaper, Safe Deposits, Internet Access. Facilities: Doctor on Call, Parking Facility, Room Service, Laundry Service, Taxi Services, Garden, Terrace, Internet Access, Pick up and drop facility. Recreational Facilities: Cooking lessons, Golf, Ayurveda treatments arrangements nearby, Boating nearby, Sightseeing arrangements. Adventure Activities: Trekking, Rock Climbing, Paragliding arrangements nearby. Dining in Misty Homes Munnar : Misty Homes does not have an in-house restaurant but they arrange food on request. They provide complimentary breakfast. Misty Homes is located in Chithirapuram. 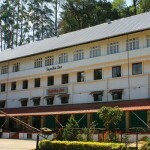 The nearest Bus station is Munnar Bus Stand and it is 10 km away. 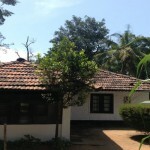 The home is 130 km away from Cochin International Airport. The nearest railhead is Ernakulam Railway Station, which is 140 km away. The home is located at a distance of about 150 km from Kochi, 140 km from Madurai, 90 km from Thekkady, 120 km from Kodaikanal and 200 km from Coimbatore. Nearby tourist locations to visit from Misty Homes Munnar: Mattupetty, Pothanmedu, Devikulam, Attukal, Pallivasal, Nyayamakad, Chithirapuram, Lock Heart Gap, Rajamala, Echo Point, Eravikulam National Park, Power House waterfalls, Kundala, Anayirankal, Top Station, Marayoor, Chinnar Wildlife Sanctuary, Amaravathi Dam.